This outstanding example of a 2019 Mercedes-Benz C-Class C 300 is offered by Mercedes-Benz Of Honolulu. This Mercedes-Benz C-Class C 300's level of quality is not meant for just anyone. It's meant for the person who strives for a classy, comfortable, and luxurious car. There is no reason why you shouldn't buy this Mercedes-Benz C-Class C 300. It is incomparable for the price and quality. Based on the superb condition of this vehicle, along with the options and color, this Mercedes-Benz C-Class C 300 is sure to sell fast. You can finally stop searching... You've found the one you've been looking for. Shopping for Used Cars? Honolulu Drivers Don’t Need to Travel Far! Browse our online inventory of used cars for sale in Honolulu today! You can test drive any of our Mercedes-Benz used cars for sale (including numerous Certified Pre-Owned Mercedes-Benz vehicles) or find the perfect used Mercedes-Benz SUV for sale at our dealership, located near Ewa Beach. Plus, not only do we have used Mercedes-Benz models for sale at our dealership, but we also offer used cars from other popular brands as well! Why Buy a Used Car from Mercedes-Benz of Honolulu? Overwhelmed from looking at used cars? Honolulu used car dealerships and their inventory of used cars can start to all seem the same after a while, making it difficult to make a decision. 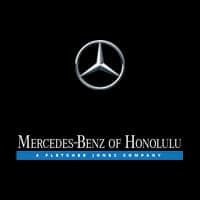 What separates Mercedes-Benz of Honolulu from the rest are the benefits we provide. When you finance a used vehicle from our dealership, you have access to a variety of service specials, complimentary pick-up and delivery, 10% off of all service labor, and more! Contact our dealership or visit us in person to schedule a test drive for one of our pre-owned Mercedes-Benz cars, like the used Mercedes-Benz C 300 for sale, and to learn more about our preferred owner benefits! Be sure to ask about the Online Shopper platform and to browse all our pre-owned vehicle specials to save big on your next used vehicle purchase.